Jakarta Fire Handling and Rescue (Gulkarmat) Dept. 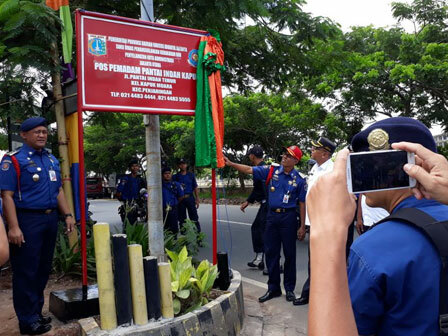 inaugurated fire station in Sector VI of PIK Penjaringan, North Jakarta on Wednesday (2/21). This fire station is built using corporate social responsibility (CSR) funds.
" The faster the officer gets to the location, the more effective the result because fire is still small"
Jakarta Gulkarmat Head, Subejo mentioned, this fire station operational which is located on Jl. Pantai Indah Timur, Kapuk Muara Urban Village, Penjaringan, is to accelerate its service in handling fire. "Thank you for all sides who have participated in building this fire station," he expressed. He stated, his side needs support from all parties since everyone has responsibilities in preventing and handling fire. "The faster the officer gets to the location, the more effective the result because fire is still small," he conveyed.